See-through base. Recessed handles for easy lifting. Secure-fit lid. Indexed surface for stability when stacking. White lid with see-through base. This storage box is ideal for storing shoes and other small items around the home and fits conveniently on 16 inches wire closet shelving, making it ideal for organizing and storing small items in the closet. Specifications: Material: Cotton & JuteColor:Brown / Gray Unfold Size:15x10.6x9.4 inch The storage organizer is collapsible to save on space when not in use The storage box's handle is stitched and reinforced for easy carrying and additional strength and support The organize basket can store anything in it, such as clothes, book, beddings, pillows, blanket, toys, groceries etc. 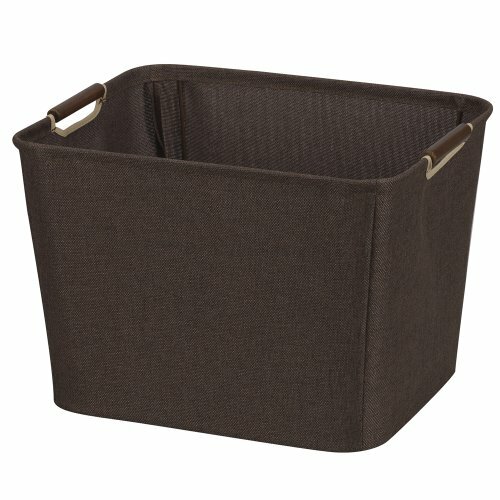 Whether it's time to pack away your clothes, shoes,or clean up the back closet, our storage baskets will offer you many solutions to meet your storage needs so that can keeping household items tidy and organized. Home decoration and accessories storage container, clothes storage basket, toy storage organizer, cosmetic storage box, closet storage, art & craft supplies storage bins, or other small personal items, random items that are scattered throughout a room can be neatly collected in these attractive boxes.and also perfect as a gift. 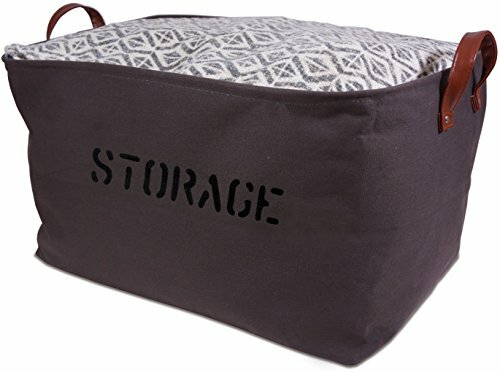 Enjoy stylish and functional furniture with Seville Classics Foldable Storage Bench Ottoman in Charcoal Gray. Remove the tufted cushion top to reveal a generous storage area for organizing clothes, blankets, linens, toys, remotes and more! Use the removable inner bin to organize small items inside the bench. Secure the bin along the length on the bench’s interior with Velcro handles. 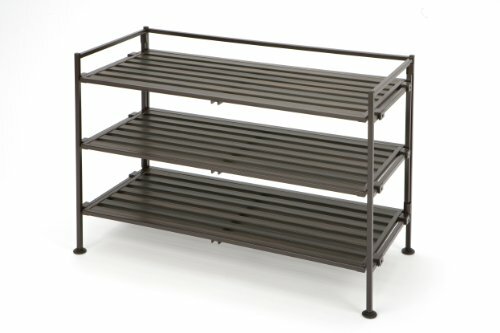 Folding construction means the bench sets up in seconds and takes up little space in storage. 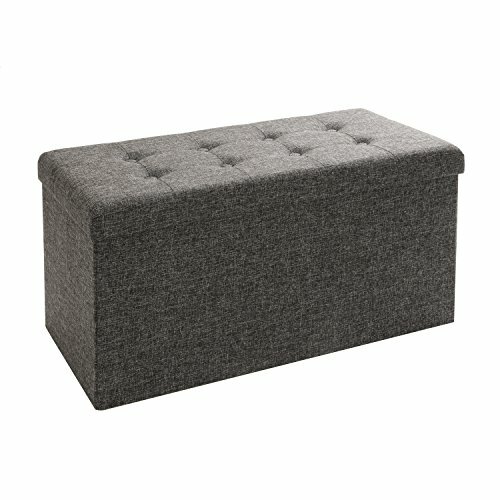 100% non-woven polyester in an elegant Charcoal Gray hue Cushioned and tufted lid provides comfort and style Removable inner bin for organizing smaller items Solid MDF construction throughout with removable top Easily unfolds for set-up; No tools required Specifications Dimensions: 31.5'' W x 15.7" D x 15.7" H Inner Bin Dimensions: 14.8" W x 7.1" D x 4.1" H Capacities: 500 lbs. on the lid (when closed); 50 lbs. for the interior bottom Weight: 15.7 lbs. Model #: WEB284 What’s in the Box? 1 base 1 large panel 1 lid 1 bin 1 small panel Limited 1-Year Warranty Seville Classics products are backed by a 1-year limited warranty unless otherwise specified. The warranty protects against original defects in material or workmanship under normal home or office use for the duration of the warranty period. 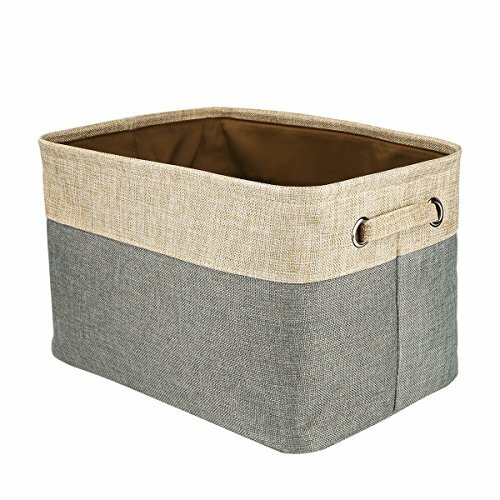 Are you striving for a clean, clutter-free home?See Images above and admire this eye-catching canvas container by OrganizerLogic®.Stay organized without resorting to dull brown cardboard boxes that make you want to hide from guests. The durable canvas material, wire-frame reinforcements, riveted handles & waterproof lining will last much longer than other storage containers, saving you money and the effort of moving items to a new box.Folding design takes up little space when not in use.Container is 14" L x 10.5" W x 9.5" H when expanded, but only 2" high when collapsed, so it can be conveniently stored when not in use.Simply click ADD TO CART now and order yours today! The Ottomanson multipurpose tray provides protection and storage for a variety of uses. You can use it for your gardening, pets, shoes, painting etc. Indoors or outdoors. 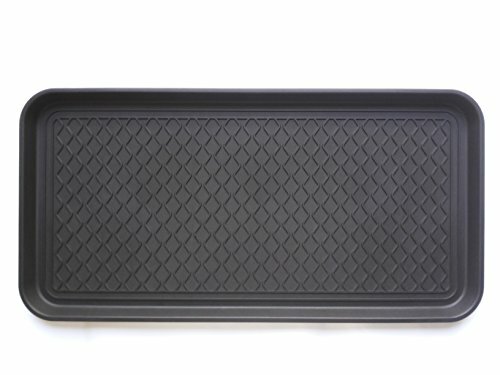 The tray is made with durable polypropylene with a raised edge to keep your floor clean. 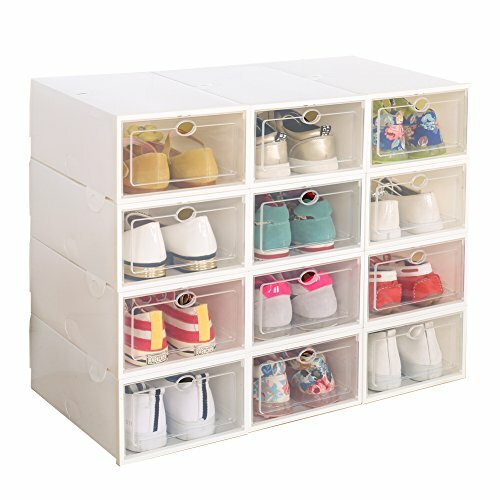 Closetmaid stackable storage organizers are a convenient way to hold small shoes, hobbies, media and office supplies. 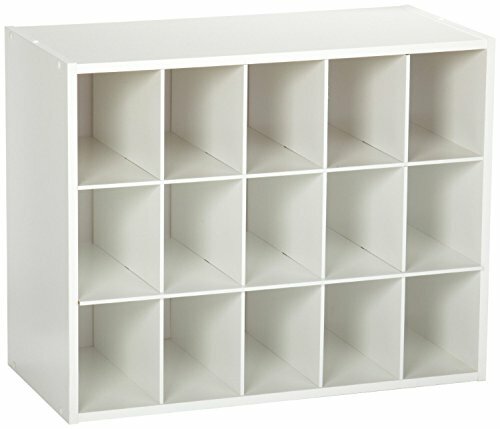 They are even perfect for storing craft supplies, and small stuffed animals and toys. 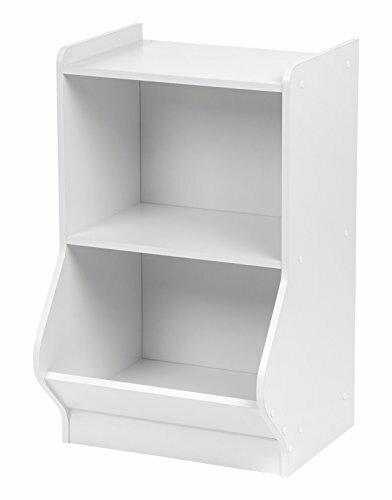 Designed to work perfectly with other 24-inch wide stackable storage organizers to fulfill your storage and organization needs! Note:1. We have put the instruction inside the parcel, please check your parcel after you receive. If you have not received the instructions, please contact us. We will email you.2. This is achieved by clever nodules on the top of the plastic that slot into the holes on the bottom. 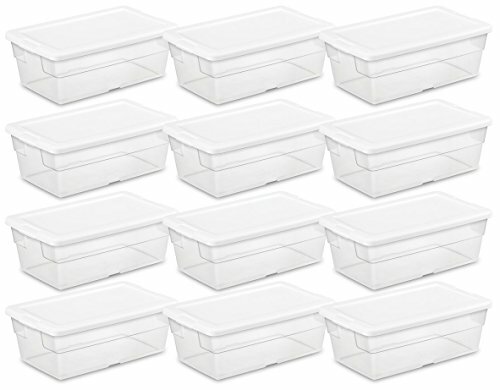 The plastic edges add stability to the boxes ,so when they are stacked they are super sturdy. Where Do I Get My Drop Front Shoe Boxes From? Drunk Dorothy throws the red shoes in the bin on Black Friday!